18 children were left injured after a mini-bus taxi transporting them to school was involved in a collision in New Germany, Durban. 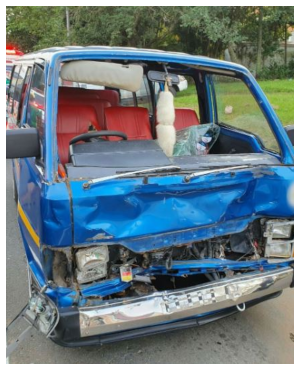 According to Rescue Care Spokesperson Garrith Jamieson the accident involved the taxi which was carrying the school children and a smaller Chevrolet bakkie. In 2016 Government has published two amendments to the National Road Traffic Regulations in its National Gazette (No. 40420). These state state that school children may not be transported for reward in the goods compartment of a vehicle.